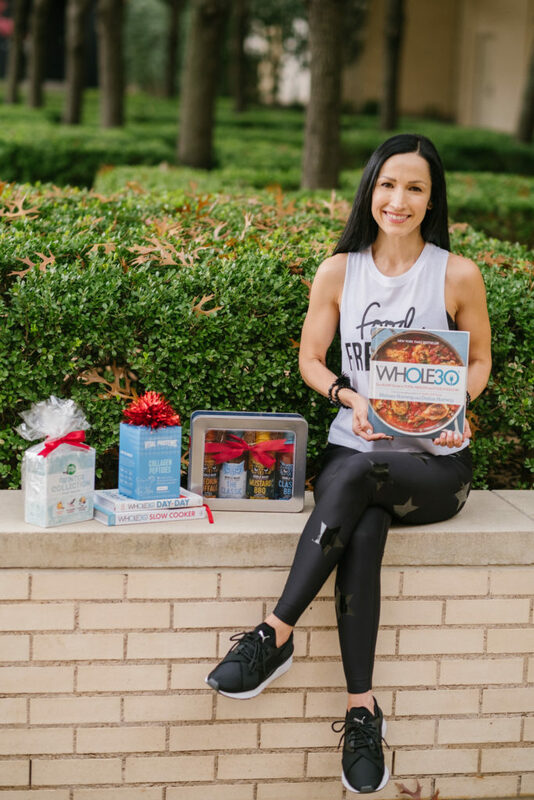 UPDATE: I’ve edited this post to include more discounts and offers for those of you doing the January Whole30! 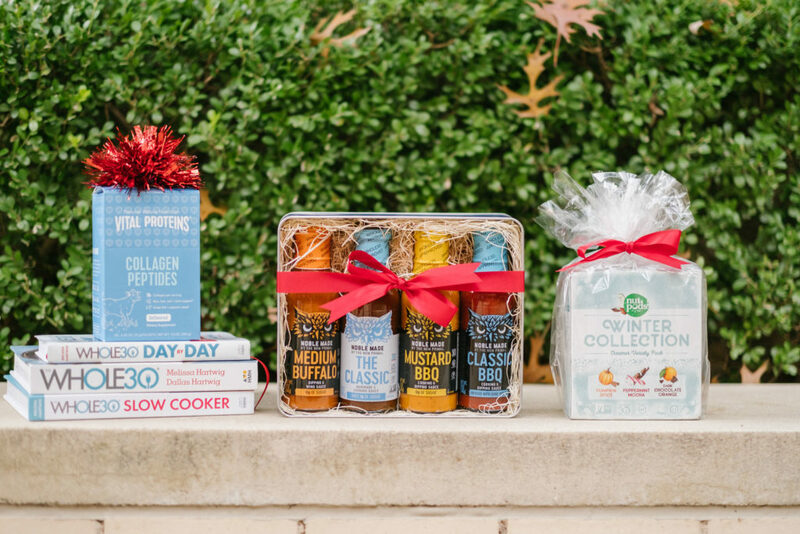 And if you’re looking for tools to stock your kitchen with this gift guide contains my most used, favorite items…. This guide was the most fun to create! 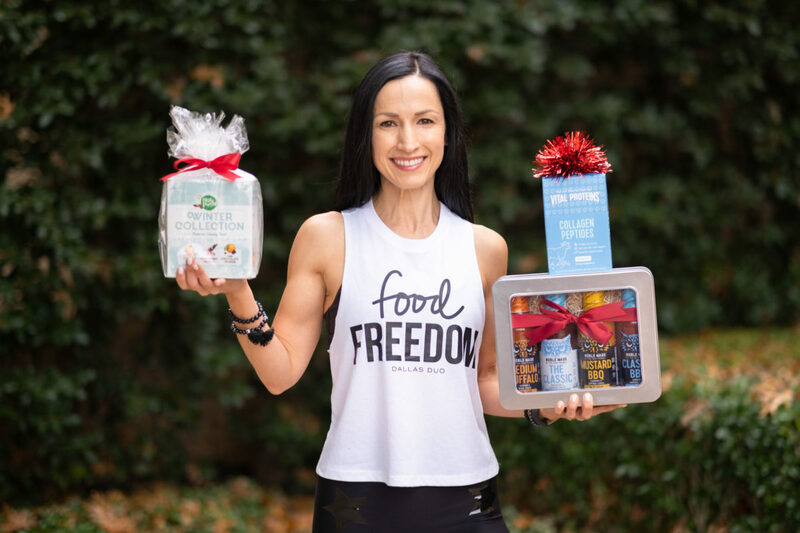 I love being a resource for you, as you begin or continue your Whole30 / Food Freedom journey! Thank you for trusting me. I don’t take it lightly and I want you to know connecting with you through sharing Whole30 content keeps me going! I truly enjoy what I do and I’m thankful for the path of growth it’s led me on…blogging, coaching, who knows what’s next! Enter at the end of this post for a chance to win! 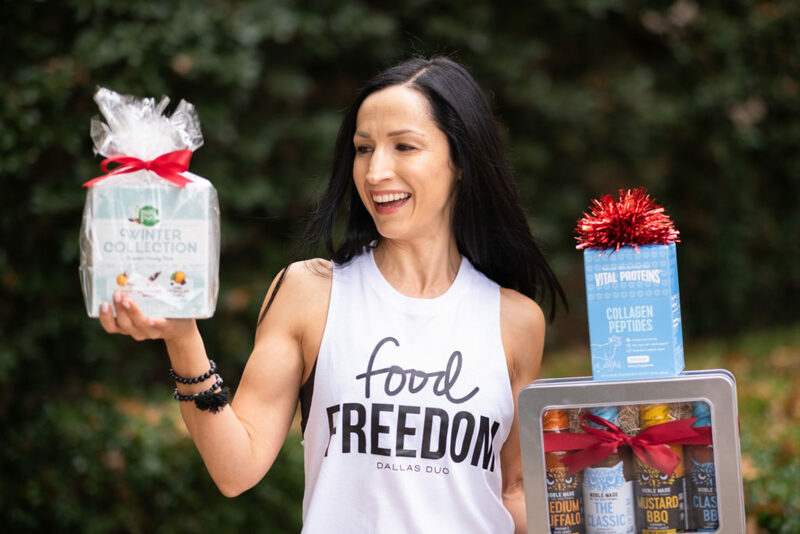 Shop for yourself or someone you want to support on their Whole30 journey! 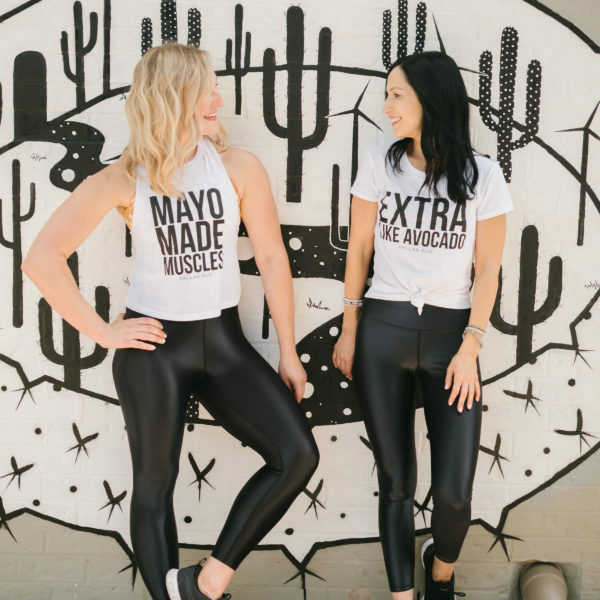 I’ve also included a list of discount codes and offers below, from Whole30 Approved and compliant brands, plus a code to use at Carbon38, one of my favorite places to shop for activewear (they stock these star leggings)! True Fare: 10% off your first order with code TRUE10 (Last time I did the Whole30, I loved their breakfasts! I would serve over a bed of spinach an top with an egg and so hot sauce…yum! One last thing…I’ll be taking over The New Primal IG story today, so tune in and say hello! Y’all, their sauces ROCK. If you haven’t tried them yet, you must! Their Buffalo Sauce gives me life! I’m obsessed with vital proteins collagen supplements on the whole 30 and off! I really like Tessemae’s Dressings. Thanks for the discount codes!! Favorite Whole30 tool would have to be the vegetable spiralizer. It’s fun to use and so functional. The crock pot for me would have to be the absolute favorite tool for any kind of cooking especially Whole30. One of my favorite recipes that fall into the Whole30 category is Roasted Chicken with Rosemary and Lemon. Super delicious and filling. The veggie spiralizer and cauliflower chopper/masher are our most used meal prep tools! The nutpods are quite good. I like my pressure cooker as a good Whole30 tool. It makes meals faster and healthier! I move using Nutpods creamer! My favorite is Bob’s Red Mill organic coconut flour. To try to mix things up, every time I do a Whole30 I love to try a new way to cook a vegetable. Last time I discovered our family loves cabbage roasted! Great post! Thanks for the discount codes. I really like the Epic bars for a quick snack. Hmmmm … what’s not to love about Whole30! What a great article and yes, thank you so much for the discount codes!! Sending you tight hugs love!!! Love your tank! I just started Whole30 a couple of weeks ago. My favorite recipe thus far is garlic lime shrimp with cauliflower puree. My favorite tool would have to be my handheld frother for my morning lattes! It’s perfect for dissolving in vital proteins collagen. Rosemary chicken which is Whole30 approved is one of my favs. Vital Proteins is the BEST!! !